Summer is in full swing! A busy time in the timeshare world. 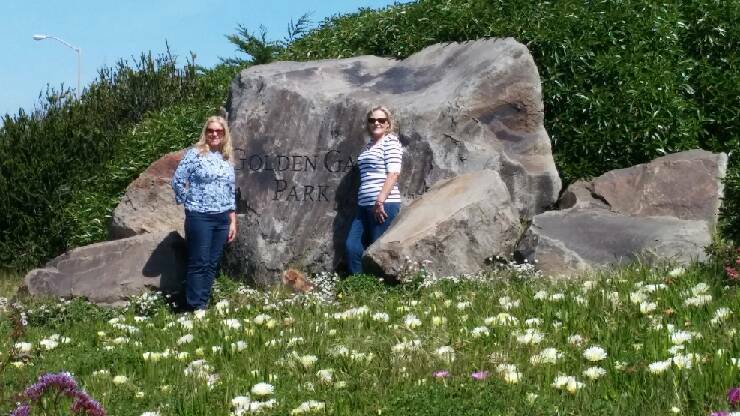 Our June/July featured agents are a two-for-one feature: Tami Olveda from Pacific Coast Timeshare RE-Sales Inc., along with her Mom and business partner, Connie McAdam. After spending years in the Corporate World as executive secretary for companies like Rockwell International (Space Shuttle Division), Lockheed and Lee Enterprises, she decided when her daughter was about five to get her real estate license so she could spend more time at home. She ended up being busier than ever and selling more than 150 homes while working for Century 21 and later Help-U-Sell. After eight years of a hectic booming real estate market, Tami decided to get her broker license so she would be able to sell homes and also timeshares. She worked at Lawrence Welk Resort in Escondido, California, as well as the Tamarack Beach Resort, and Carlsbad Inn Beach Resort. She was later recruited to be the on-site agent for Grand Pacific Resorts’ Southern California Beach Club and a relief agent for Connie McAdam (her mother) at the Carlsbad Inn, CA. After three years of being the On-site Resale Agent for Grand Pacific Southern California Beach Club, Tami decided to branch out on her own with her broker’s license and take the same philosophy she learned at Help-U-Sell to the Timeshare Industry. Grand Pacific and other brokers were charging 40% and up for commissions, plus some charged an upfront fee and others wanted you to pay them to take it off your hands. With the higher commissions, prices for timeshares went through the roof making it harder for sellers to sell and buyers to purchase at a fair market value. Tami saw an opportunity and started Pacific Coast Timeshare RE-Sales, Inc. Tami decided to slash commissions in half by offering sellers 20-25% commission to sell with no up-front fees. She would concentrate her efforts on resorts that offer fix week inventory. Two of her top selling properties include Grand Pacific Resorts Carlsbad Inn Beach Resort, Carlsbad CA and Southern California Beach Club, Oceanside CA. In January 2015, with business growing and her mother, Connie McAdam, approaching retirement age, Tami decided it was a perfect fit to have her mom join her as a partner. Connie has over 30 years of timeshare experience and 13 years as the On-site Resale Agent at Grand Pacific Resorts at Carlsbad Inn Beach Resort. With the two of them, their combined experience and knowledge of the timeshare industry can be appreciated by both sellers and buyers. 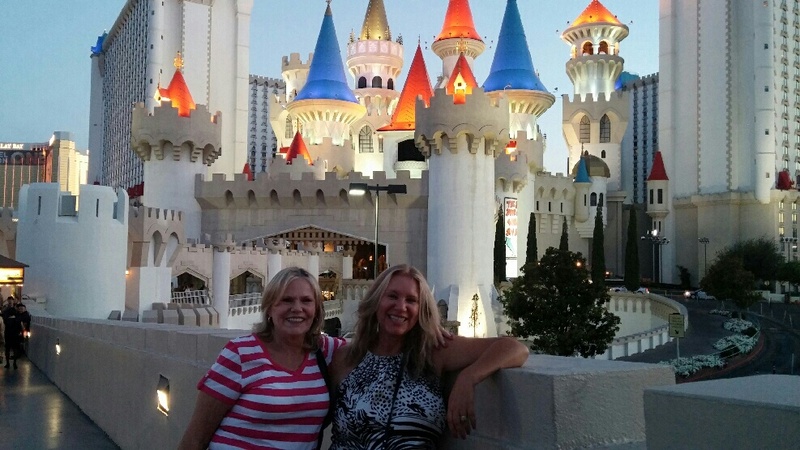 Tami and Connie also know several Timeshare Brokers that they co-op with. It a small world—the timeshare industry. Between Tami and Connie, they have over 60 years of combined timeshare experience and own more than half a dozen timeshares. Their timeshare portfolio includes Carlsbad Inn, Southern California Beach Club, Capri by the Sea, Laguna Surf, Winner’s Circle, San Clemente Inn, Lagonita Lodge and Tami’s most recent purchase, a two bedroom unit at San Diego Gaslamp Plaza Suites. Tami has been married for 27 years to Victor Olveda and has one daughter, Victoria. The family, including Connie, have traveled all over the world using timeshares and have been to Spain, England, France, Italy, Greece, Mexico, Puerto Rico, Bahamas and several places in the United States like Las Vegas, Hawaiian Islands, Sedona, Branson, Myrtle Beach, Fort Lauderdale, Coco Beach, Orlando, Key West plus experiencing Mardi Gras in New Orleans. They use multiple exchange companies which include RCI, Interval International (II) and GPX to make their timeshare traveling experience a reality. Did I mention, she LOVES TIMESHARES. Tami says, “The best perk of all with a timeshare business is you can travel, work and meet timeshare owners everywhere. With a mobile office and the internet, she and Connie will both be able to work and enjoy retirement all at the same time.” For information on how they can help you either purchase or sell, please call Pacific Coast Timeshares RE-Sales, Inc. at 951-551-9404 or visit their website at www.PacificCoastTimeshares.com. They will make the transaction of buying or selling very smooth and painless, especially since we will be your closing company!